The Blue Carbon Lab (BCL) has had a tremendous year of growth and productivity. We’ve doubled in size over the past year and we expect to triple by the end of next year. Our new personnel recruitments have allowed us to enter into new and exciting territory: environmental economics, ecosystem services, microbiology, omics, and modelling. 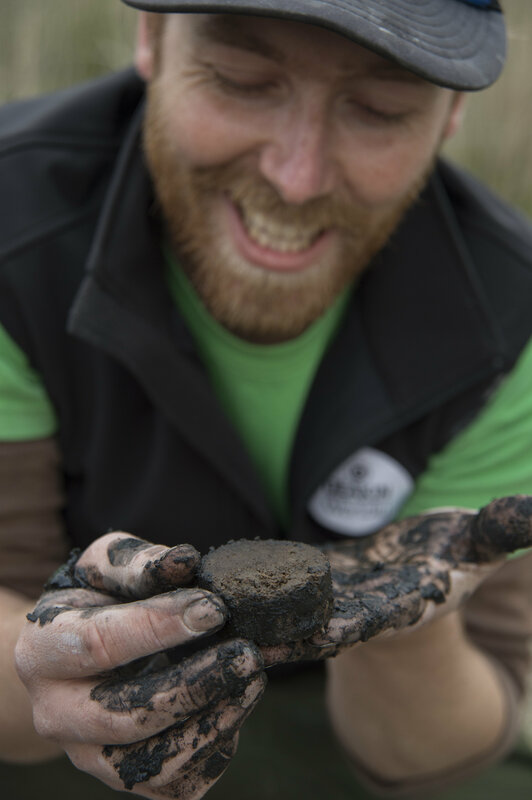 The lab has enjoyed recognition of its work in the form of the David Syme Prize for ‘best original research in Australia undertaken in the previous two years in Biology, Physics, Chemistry or Geology’ and an AMP Tomorrow Maker Fellowship for wetland carbon flux research – just to name a couple. Of course none of these achievements could have occurred without the ongoing support of our research partners. Most notable, this year we had three successful Australian Research Council Linkage Grants thanks to co-investment by The Nature Conservancy, Parks Victoria, Department of Environment Land Water and Planning, Murray Local Land Services, Greater Lakes Council, and Gladstone Ports Corporation. We are about to kick off a major ‘Mapping Ocean Wealth’ program with The Nature Conservancy and other partners, which will involve calculating and describing – in quantitative and spatial terms – all that Port Phillip Bay, Western Port Bay, and the Richmond River do for us to support smart investments and decision-making when it comes to our natural capital. We thank Veski for the chance to visit the USA this year learning from the world’s foremost authorities on green infrastructure and coastal carbon cycling. The trip spanned 9 USA states and involved giving 12 talks, meeting with >100 scientists, and visiting the world’s most advanced field laboratories. We’ve also had significant internal investment from Deakin: a Leco CN analyser, provision of three new PhD scholarships, and co-funding of a postdoctoral fellow. On behalf of the Blue Carbon Lab I thank you for your support. We’re all very excited about the opportunity to contribute to evidence-based research to support environmental decision-making. We hope to continue our partnership with you long into the future. Please enjoy this inaugural Blue Carbon Lab newsletter. he microbial carbon pump (MCP) is a newly proposed biological mechanism for explaining the formation of very stable -recalcitrant – carbon from labile forms of carbon by microbes in the ocean. ​ Thus, MCP has a profound impact on the Earth’s carbon cycle and potentially its climate. As a part of a larger project exploring the dynamics of the MCP within the coastal zone, this study will be providing fundamental new knowledge about the relationship between the age of the sediments and microbially-produced recalcitrant C within coastal sediments – a previously unrecognised role of microbes in these ecosystems. This grant will be used for the age-dating analysis within sediment cores using 210Pb, 14C and ITRAX techniques. Freshwater wetlands can store carbon at up to 30 times the rate of terrestrial forests and pose a significant opportunity for carbon offsetting. However, questions remain about the environmental and ecological factors that influence the carbon sequestration capacity across different freshwater systems. 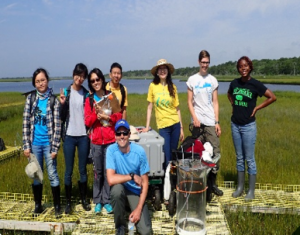 This project aims to target two types of freshwater wetlands to understand the contribution of hydrology and carbon source to sequestration rates.